Non slip weights with tacked bottoms hold patterns securely to fabric. 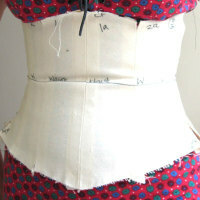 I love Sew Easy products. They do exactly what they say on the tin. I do infact beleive that Sew Easy sewing tools are magic. These lovely Sew Easy fabric weights are beautifully heavy yet compact and what's more, they are stackable! So you can add as much 'weight' as you like to your cutting table, or as little, depending upon the delicacy or strength of your fabric. These fabric weights are designed to firmly weigh your fabric in place while you cut. Each weight is palm sized and has little pins built into it which serve the double purpose of gripping your fabric, and serving as an anchor when you stack the weights. 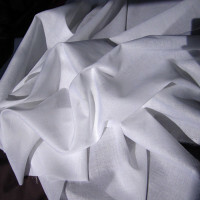 Fabric can therefore be held and straightened and positioned more accurately. Fabric weights also take the horror out of placing holding and cutting fine or slippery fabrics. Easy to store as they are small and square and stackable!